Oklahoma Connection | Sabolich was born and raised in Oklahoma City, Oklahoma where his father, Lester, established The Sabolich Center in 1946. John Sabolich is the creator of the Sabolich Sense-of-Feel (SOF) System and has been responsible for at least a dozen innovative designs for artificial limbs. His designs allow double amputees, moreover, to walk step over step, children with thigh-high amputations can run, and five-month-old babies can crawl and eventually learn to walk. Oklahoma native John A. Sabolich embarked upon his career in prosthetics-orthotics at the age of 13 when he began working in his father’s Oklahoma City research and patient care facility learning to fit artificial limbs. He graduated first in his class from New York University’s College of Prosthetics (1970) and upon certification (1972) returned to join his father and begin the research and development of prosthetic systems which enable today’s amputees to have flexibility, a sense of feel, and range of motion that was unheard of before 1982. His expertise has created a biomedical lab which benefits patients worldwide. A clinical instructor for the University of Oklahoma Health Sciences Center, he has published technical articles and a book, You Are Not Alone, to furnish basic information and encouragement for those facing amputation. His work has been the subject of well-known publications such as National Geographic (December, 1989) and Omni (February, 1991). 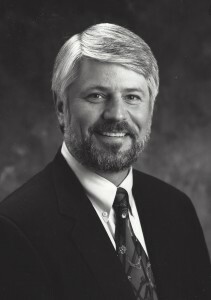 He was recognized as a 1998 Pathmaker by the Oklahoma City-County Historical Society and has often been in the position to donate his services and devices to not only Oklahomans, but amputees around the world.